In less than a year, the ROKA PHANTOM has gone from not existing to being recognized as the best pair of sunglasses on the planet. 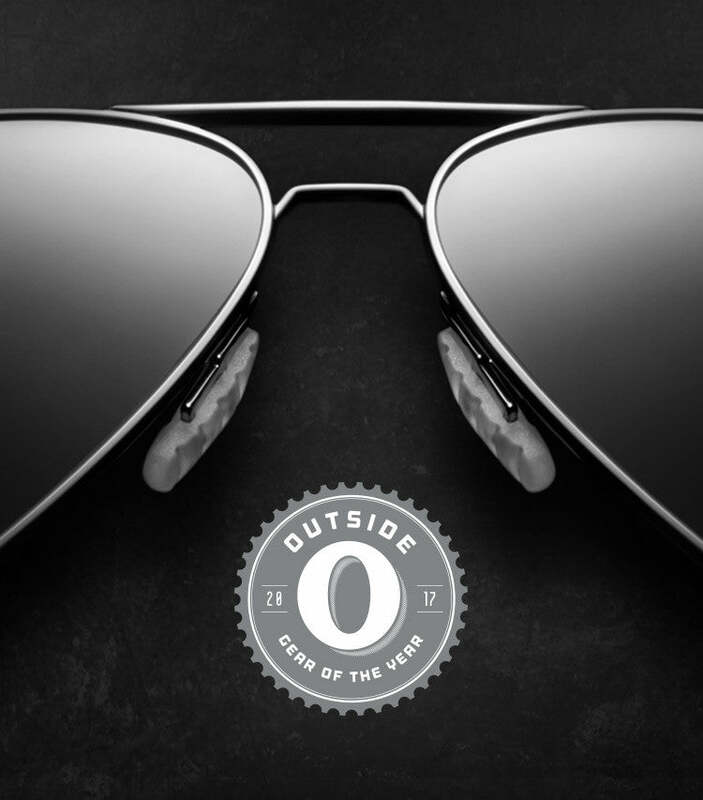 We are so psyched to announce that PHANTOM is the SUNGLASS of the year as named by Outside Magazine. We love the unknown, we love an underdog, and we love to break new ground by doing things radically different. Wearing the phantom is like wearing no other aviator sunglass that has come before it, don’t take our word for it though - try it yourself. If you aren’t floored, send em back. We set out to make glasses that won’t fall off your face, no matter how tough the performance challenge. Like say, starting a marathon in hot and humid conditions, after you’ve completed the first two-thirds of an IRONMAN. To solve this performance challenge, we looked to nature and found the soft but amazingly sticky feet of the Gecko. Our patented GEKO fit and retention system features a proprietary elastomer for nose and temple pads that’s hydrophilic and supports multidirectional traction with comfort. At just 20 grams, the Phantom’s titanium frames are remarkably light and incredibly durable. Patent-pending GEKO Pads on the nose and temples provide optimal multi-directional traction and comfort. The result is incredible no-slip retention, even during the most strenuous, sweaty activity, while providing a “forget you’re wearing them” experience.